What is at stake is more than one small country; it is a big idea: a new world order, where diverse nations are drawn together in common cause to achieve the universal aspirations of mankind–peace and security, freedom, and the rule of law. . . The end of the cold war has been a victory for all humanity. A year and a half ago, in Germany, I said that our goal was a Europe whole and free. Tonight, Germany is united. Europe has become whole and free, and America’s leadership was instrumental . . .
We stand today at a unique and extraordinary moment. The crisis in the Persian Gulf, as grave as it is, also offers a rare opportunity to move toward an historic period of cooperation. Out of these troubled times, our fifth objective–a new world order–can emerge: a new era–freer from the threat of terror, stronger in the pursuit of justice, and more secure in the quest for peace. An era in which the nations of the world, East and West, North and South, can prosper and live in harmony. A hundred generations have searched for this elusive path to peace, while a thousand wars raged across the span of human endeavor. Today that new world is struggling to be born, a world quite different from the one we’ve known. A world where the rule of law supplants the rule of the jungle. A world in which nations recognize the shared responsibility for freedom and justice. A world where the strong respect the rights of the weak[!]. This is the vision that I shared with President Gorbachev in Helsinki. He and other leaders from Europe, the Gulf, and around the world understand that how we manage this crisis today could shape the future for generations to come. The test we face is great, and so are the stakes. This is the first assault on the new world that we seek, the first test of our mettle. Had we not responded to this first provocation with clarity of purpose, if we do not continue to demonstrate our determination, it would be a signal to actual and potential despots around the world. . .
1. Go to http://www.presidency.ucsb.edu/ws/index.php Go to the left margin under “Search the Entire Document Archive”. 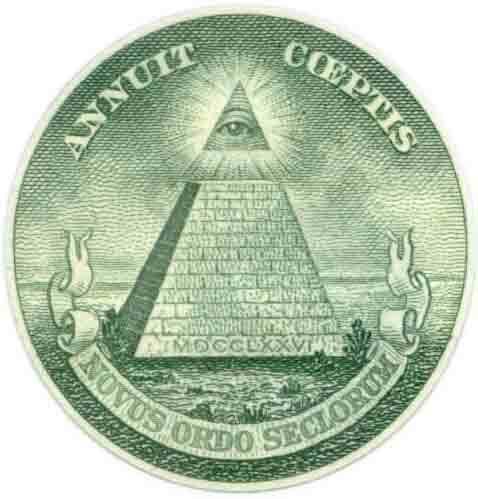 Type “New World Order” in “Enter keyword”. Click “Search”. 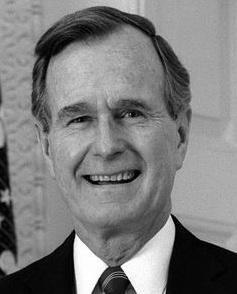 To zero in on Bush, set range from 1989 to 1993.